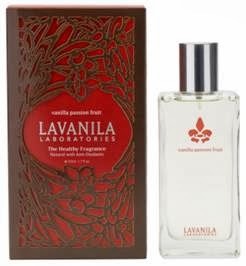 Lavanila's The Healthy Passion Fruit Fragrance is enchanting and alluring; infused with natural aphrodisiacs. This bewitching, crisp and tropical scent, steeped in a warm base of sandalwood and Madagascar vanilla, is sure to captivate all your senses. Master natural perfumers have blended exotic essential oils with skin soothing botanicals for timeless expressions of nature that captivate the senses and nurture the skin.